Goals from Wes Morgan and Jamie Vardy gave Leicester a third successive win as Brendan Rodger's side continued their impressive home run with victory over Bournemouth at the King Power Stadium. There was plenty of attacking intent from both teams throughout the match, with both sides troubling the other with some good attacking moves. Morgan opened the scoring in the 11th minute as the big, imposing centre-back showed some good footwork to guide the ball into the net via the post. Vardy had an opportunity to extend Leicester's lead further in the first half, but had to wait until late in the second half before he got his goal and secured all three points for the Foxes. Bournemouth had moments to equalise, and Eddie Howe will rue the chances his players missed as he will see this result as points dropped. This game was a tale of two missed chances. 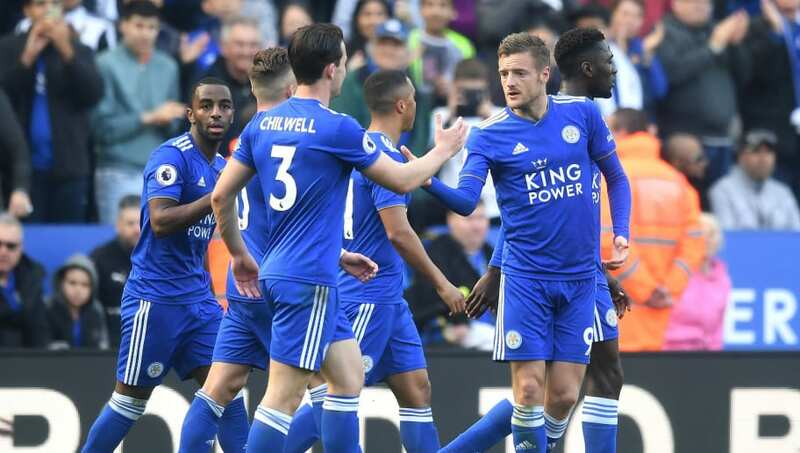 With the Foxes leading by the narrow margin of one goal, Jamie Vardy had the opportunity in the 29th minute to put Leicester two goals ahead and in a much more comfortable position. The Foxes broke quickly with midfielder Youri Tielemans releasing fullback Ricardo Pereira whose run pulled the Bournemouth defence out of position. The Portuguese then found Vardy, who had acres of space in the Bournemouth box, with a great ball. Many would have expected Vardy to rifle the ball in, but instead he dragged his shot wide from 10 yards. He made amends with a good headed goal in the 82nd minute which sealed the three points for Leicester. James Maddison's performance against Bournemouth exemplified why the young Englishman is knocking on the door of Gareth Southgate's senior national side, and the calls for his inclusion will only have intensified after this performance. His range of passing was exemplary and he consistently found his teammates and played a key part in Leicester's attacking play. Maddison's understanding with Vardy was impressive, with the 22-year-old putting his teammate through on a number of occasions, only to be stopped by a good clearance or an onrushing Asmir Begovic. He was also good with the ball at his feet, deceiving defenders with his movement and making some piercing runs. He will continue to develop under Brendan Rodgers and will soon be making the case that he has to be picked for the Three Lions. Normally dependable in front of goal, Bournemouth striker Callum Wilson's eyes would have widened to the size of saucepans when teammate Ryan Fraser beat his opposition fullback and whipped a delicious ball into the box. Wilson was positioned perfectly on the edge of the six-yard-box, the ball only needing to be diverted into the Leicester net. 99 times out of 100, Wilson would be wheeling away in celebration. This was that one time out of 100. Wilson's shot lacked the power needed, and Kasper Schmeichel was expertly placed to deny the England international a goal that would have levelled the scores. Dutch international Nathan Ake had a strong performance at the centre of Bournemouth's defence. He marshalled his teammates well, despite the goal they conceded at the beginning of the first half. The 24-year-old plays with the maturity of a much older player and it is no surprise that bigger clubs are beginning to circle around the centre-back. ​Leicester City travel to ​Huddersfield in their next ​Premier League game and will be hoping to bolster their goal difference against the already-relegated Terriers. Brendan Rodgers will be looking to notch another victory for his new side and continue building some momentum for the business end of the season. ​Bournemouth welcome ​Burnley to the Vitality Stadium in their next league match.